This is a very special project. Each month is a new scrapbook page created by you from a kit full of paper, embellishments and creative tips. 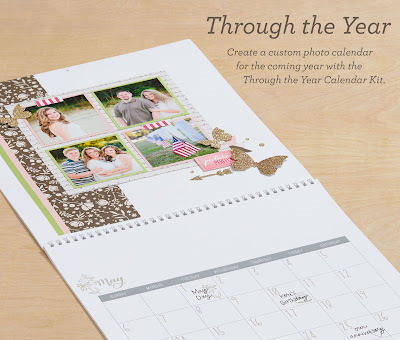 Each month instead of just flipping to the next calendar page, you trim off the past month page and add it to an album. At the end of the year you have an album full of beautiful memories. To purchase your kit just click here, thank you.